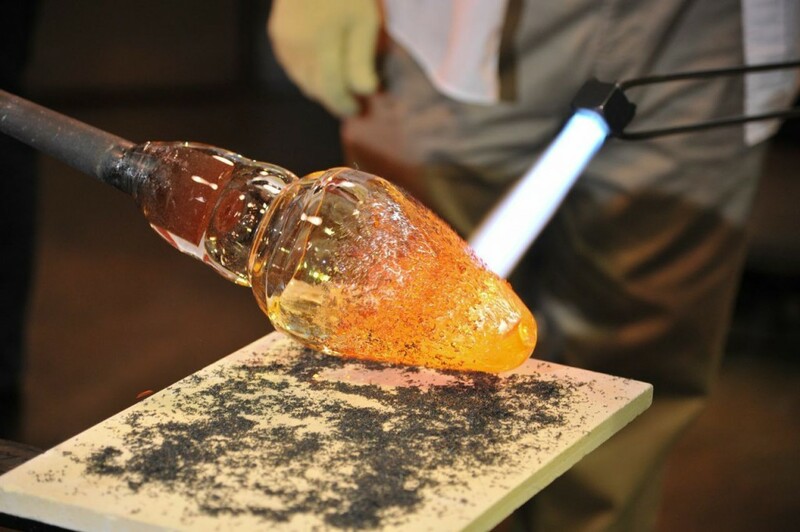 Dr. G. Jane Cook is the chief research scientist at The Corning Museum of Glass. 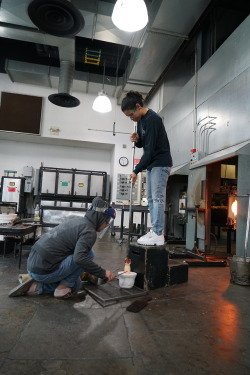 In addition to her responsibilities researching and sharing scientific and technical topics in glass, she is also the scientific advisor overseeing the new Specialty Glass Residency Program offered by The Corning Museum of Glass and Corning Incorporated. 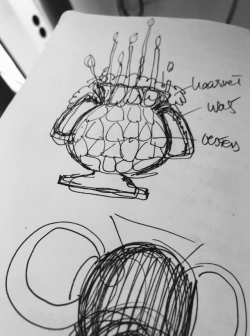 In December, Dr. Cook hosted world-renowned artist Albert Paley, the first artist selected to participate in the residency program, and generously agreed to share her experiences in a series of blog posts. The first two posts in this series can be found here and here. Albert Paley and team at work in The Studio in December. Thursday, the final day of work, again started with a quickly drained coffee pot. The team was pumped, everyone was confident in the basics of working this new glass, and in the process of creating strong bonds to the metal, and Albert was ready to push the limits of size and complexity. The embedding of the Kovar shavings the day before was on Albert’s mind, and he proposed that we return to a technique that had been explored briefly in August: using the powerful propane-oxygen torch to melt and spray droplets of Kovar off a metal stock held in pliers, and onto a gather on a blowpipe. The process itself visually is spectacular – reminiscent of my times working in metal foundries, with incandescent dripping metal and slag skittering like glowing bugs across the floor, or dropping onto the ceramic fiber mats placed next to the bench rail to catch them. Albert held the metal and torch, and a gaffer turned a three-gather bubble slowly under the falling molten fire. After Albert was satisfied with the pattern and coverage, the bubble was cased once, and then the pyrotechnic coating was repeated, another casing, and then blowing. No one was sure what would happen: had the metal formed a contiguous band around the bubble that would restrict the blow, creating a pear-shaped form? Or was the continuity an illusion of the multiple coatings, and the hard metal splatters flow with the expansion, like a painting on a balloon? A work in progress during Albert Paley’s Residency. The answer was some of the latter, but with an unimagined twist: by some combination of interactions – chemical and geometrical – gas bubbles surrounding the metal flowed and spread outward as the glass expanded, creating a lovely relic of streamlines taken by the flowing glass, a record of its journey in rivulets of bubbles. But as should happen when learning and growing, there was a disappointment- a dropped piece. The second piece of the day, it was a complex assembly of elongated, solid glass elements, Kovar, and a central blown form coated in the melted Kovar drips. As the last metal addition was being pushed down onto an attachment point of a hot glass bit, the jack line failed and the shop floor took its turn to “cold-work” the falling mass into random shards. It is at such moments when one understands most fully what it is to be a glassworker, perhaps more than with the joy as the applause breaks out when the annealer doors shut. There is a profound sense of humility as the chatter of creation is silenced by the sharp *pop* and crash of breakage, as all stand still – first to assess that all are safe, then to take in the shapes and their splay across the floor. The delicacy of the material is supreme. After a lunch break peppered with stories and good humor to lift the spirits, the team took another run at a piece built around a Kovar-“drip-painted” bubble, this one with a more substantial moil, and the result was beautiful. Three pieces made it to the annealer that day (and one substantial shard of the “lost” work). 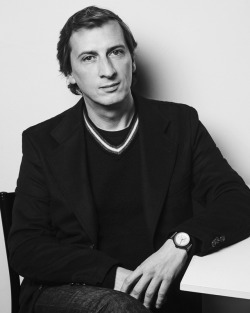 Overall, 12 pieces were finished in three days, each a masterful creation. The massive nature of pieces – some with cross-sections over 4” of solid glass, all with complex joints, all with the complication of Kovar/glass seals – demanded a conservative annealing cycle, from 986F to room temperature over five days. All the pieces survived the annealing, and when they were unloaded and moved to a room at The Studio for storage and photography, they all felt solid and whole, with no signs of debonding between the metal and glass. A piece created by Albert Paley during his residency. 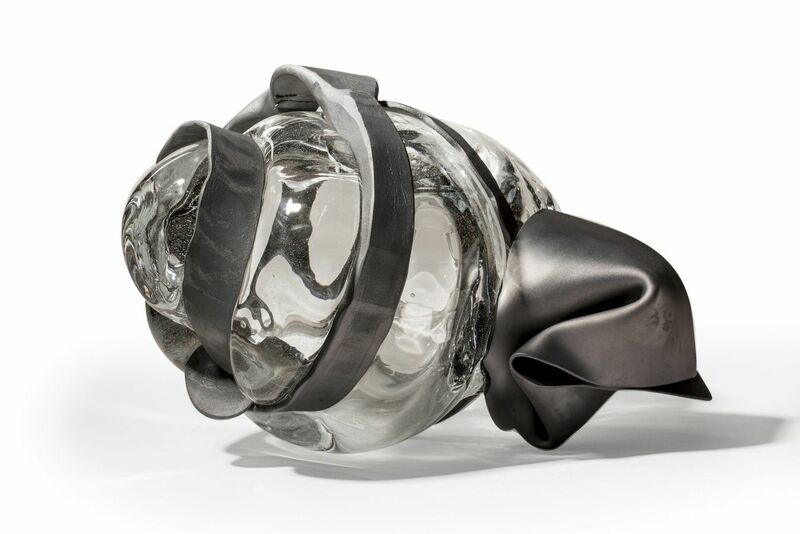 They next shall journey up to Paley Studios in Rochester, where Albert will spend time contemplating them, and then choosing some to be incorporated into larger works, as he has done with previous glass elements. But these new works shall be unique – the glass shall not be carefully cradled proximal but not touching the metal, not offset and cushioned by rubber bushings. With these pieces the metal and the glass are one, forever joined in an unusual intimacy, made by tearing away the artifice of a “art/science divide” and letting creativity explore unhindered with the rich kit of resources offered by this marvelous stuff called glass. 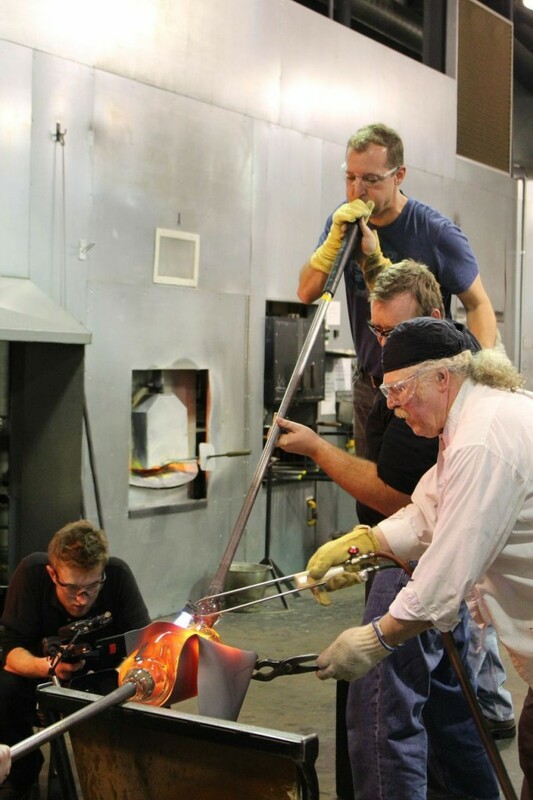 Click here to learn more about Albert Paley’s work as the Specialty Glass Artist-in-Residence at the Corning Museum of Glass.